As some of you may have been reading, December was a really exciting month as I had the opportunity to attend a bloggers meet in Hull. As I’m fairly new to the world of blogging it was a really amazing opportunity to meet with other bloggers, make friends, and explore new blogs. I did extremely well in the raffle, coming away with some gorgeous the Balm goodies, Ohh Deer notebooks AND a big box of Degusta goodies. It’s been a long time coming, but today I’m going to share my thoughts on some of the treats that turned up inside the December box! Firstly, I’ll discuss the Kettle chips. 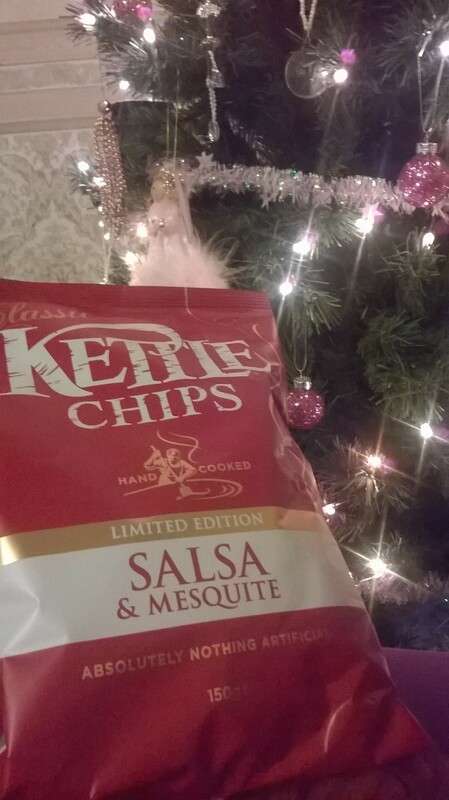 I love Kettle chips; they’re always a favourite treat of mine and have some truly irresistable flavours. These were no exception! 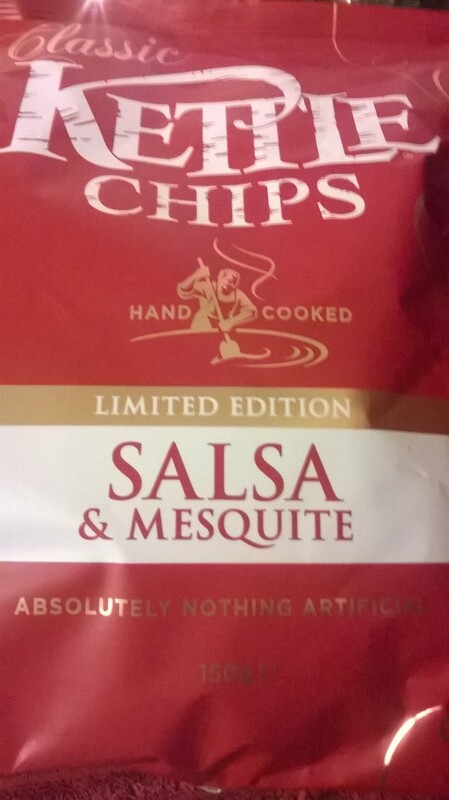 I received the Salsa & Mesquite flavour, which was a smoky, tomato flavour. They were deliciously crunchy and were enjoyed by my family around the Christmas tree! 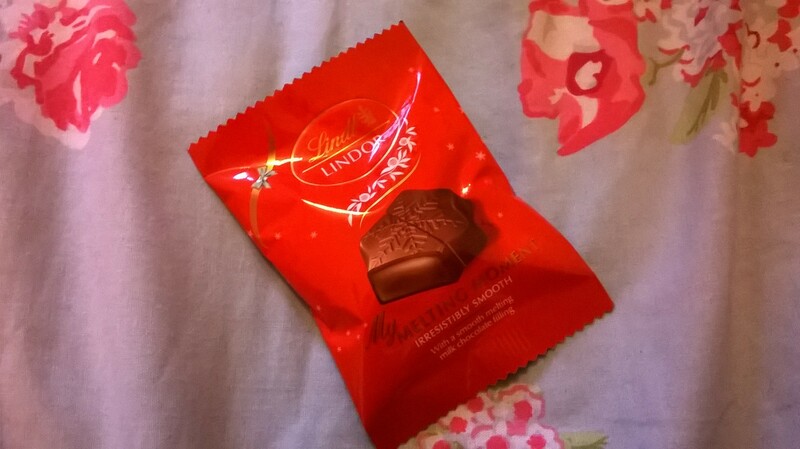 Next up are the Lindt Lindor My Melting Moment chocolates. Anyone who knows me will know just how much I love chocolate. It’s definitely one of my favourite things and I often find it hard to resist! 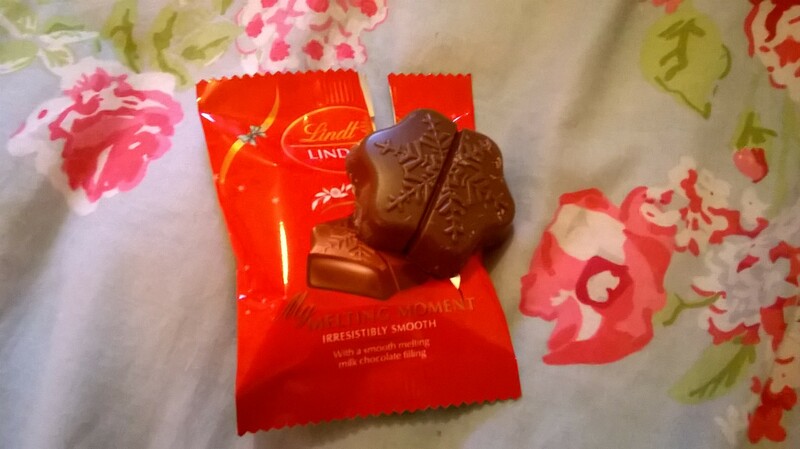 Lindt chocolate is particularly delicious, and since I love the melting middle chocolates, I was pretty certain I’d enjoy these! As expected they were extremely delicious, with a smooth, melting middle encased in thick Lindt milk chocolate. Really superb. Plus, the snowflake design made them a really special Christmas treat. 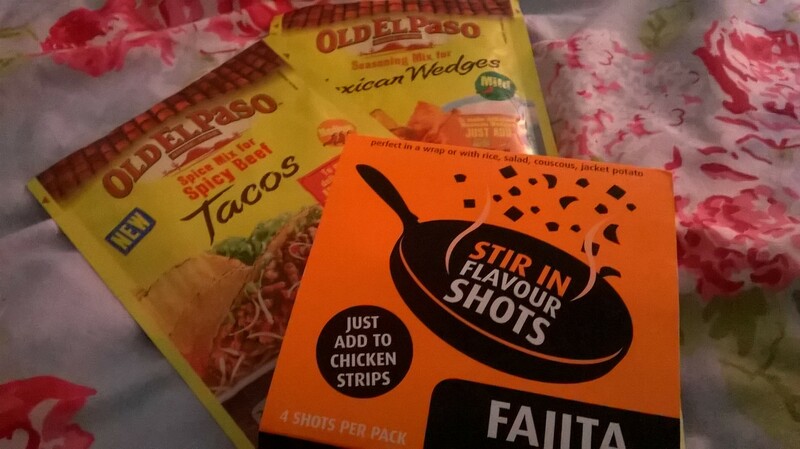 As a student I find fajitas to be a great way to have a really balanced meal (as long as you go easy on the sour cream or skip it altogether!) 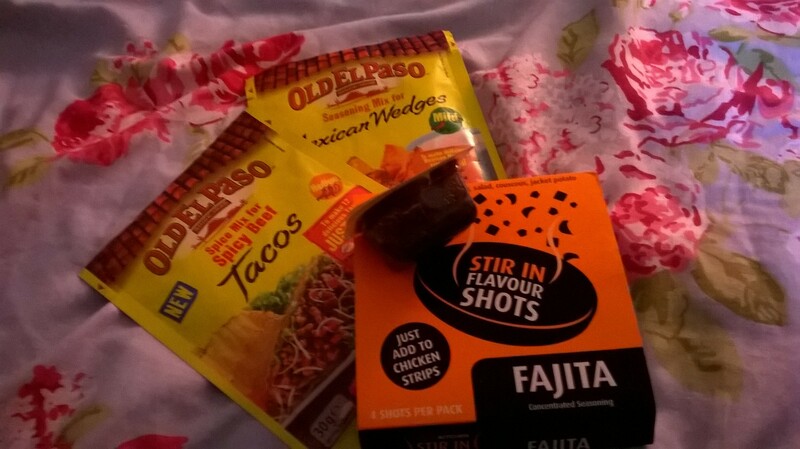 so when I found the fajita Stir In Flavour Shots in the box I was really excited to use them. Usually I use Old El Paso’s fajita mix, which I also received on the day. As you can imagine there’s been lots of fajita meals since, and I’m certainly not complaining! Unlike the Old El Paso Mix, the flavour shots are liquid. They are fairly thick, but they melt in the pan amongst the meat and vegetables. There are four in a packet, and you use one per meal (which serves 2-4 people). Overall I was really impressed with these. If you like Old El Paso’s, you’ll probably enjoy these as they have a similar, smoky flavour. I have yet to try the Old El Paso Spicy Taco Mix, but the Potato Wedges Seasoning was a big hit and I’d definitely repurchase it. You simply sprinkle it over your potato wedges and give them a good mix. Then you simply pop them in the oven! A really easy yet different way to use potatoes. These went well with the fajitas! 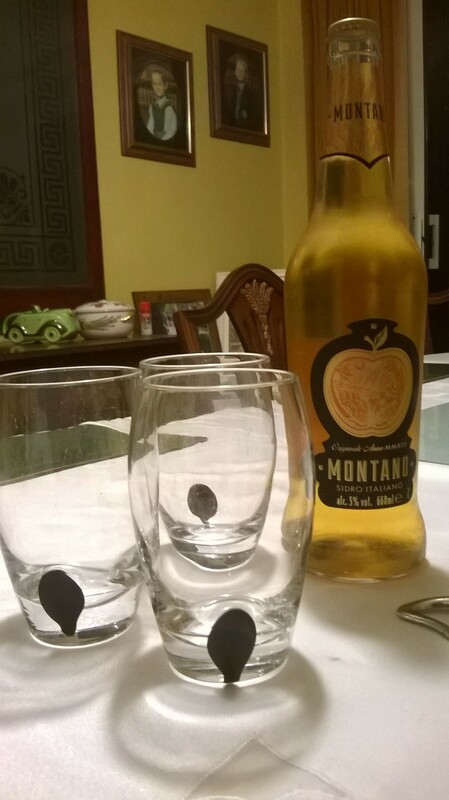 Here is one of the beverages in the box; the Montano Cider. I’m a fan of ciders in general, and I usually prefer mine on the dry side. 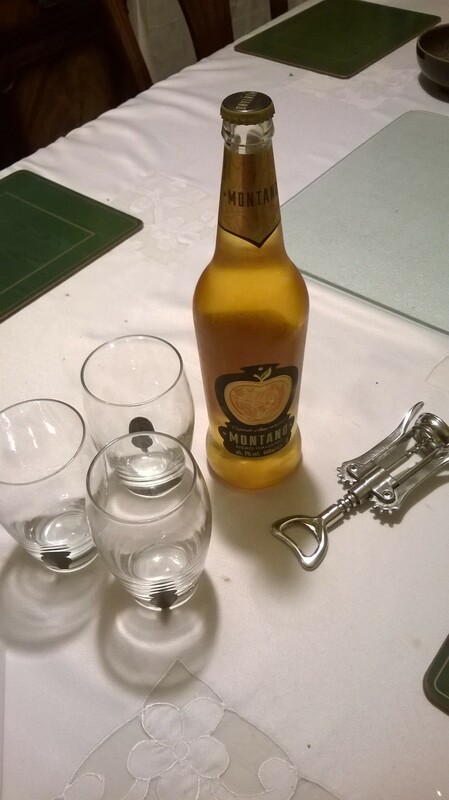 Luckily, this cider was somewhere in the middle of sweet and dry, and was extremely fruity. I throughly enjoyed it. With a golden colour and light sparkle, it was an extremely refreshing drink and I wouldn’t hesistate to repurchase it. My whole family enjoyed it! 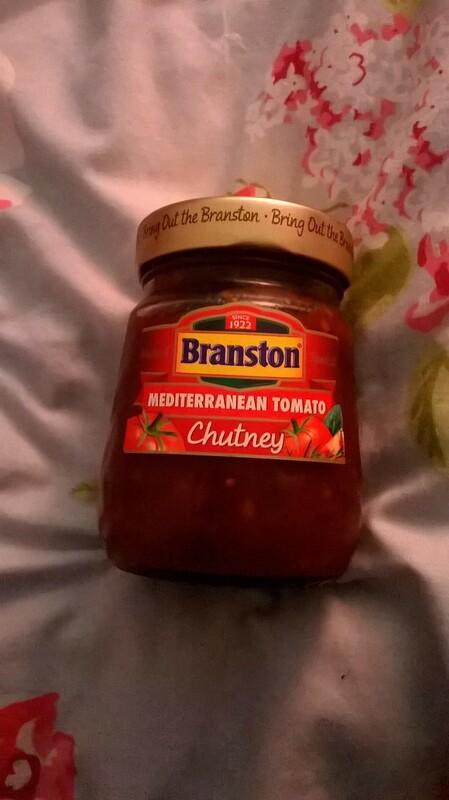 I’m not usually a huge fan of pickles and chutneys, but Branston’s Mediterranean chutney was a little different. 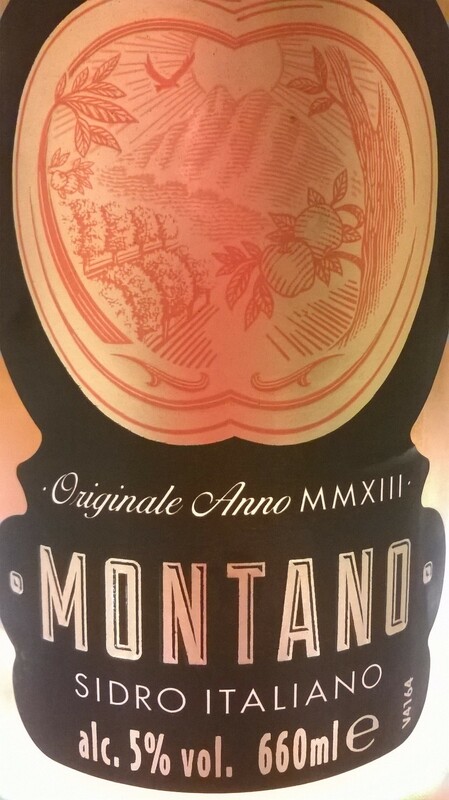 With a rich, sweet, tomato taste, I found this went well on burgers. I tried it on a chicken burger in place of ketchup, and it was really very lovely. The texture isn’t what I’d consider chunky, but it definitely isn’t smooth. I think it would be good on a cheese toastie. 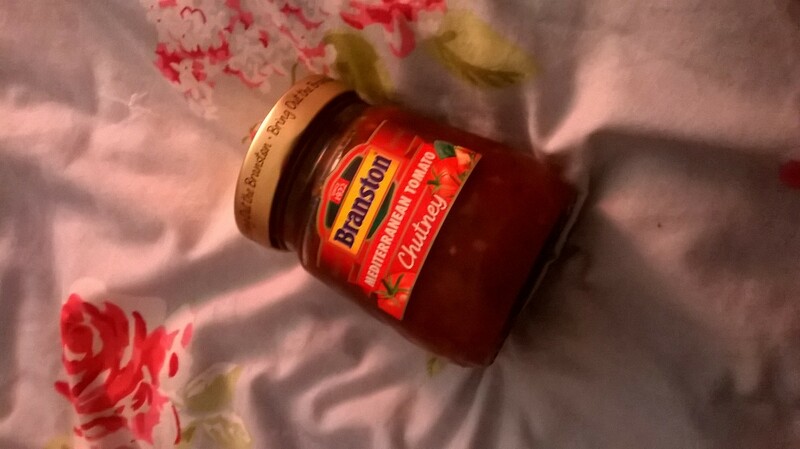 I’m not sure I’d repurchase this, but as I say chutneys aren’t really to my taste. Worth a try if you’re into this kind of thing, though. 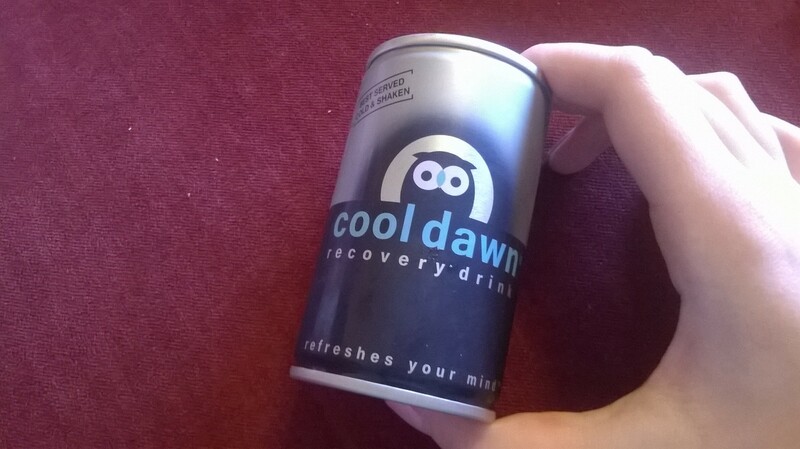 Lastly we have the Cool Dawn recovery drink. I received two cans of this and they’re recommended for a hangover. Unfortunately I don’t really drink an awful lot, so I can’t say much about the hangover-reducing effects. The drink contains a mixture of herbs and juices, but do not contain any stimulants like caffeine. They have quite an unusual, almost medicinal taste, but they’re certainly not unpleasant, and they’re not sparkling; they’re a completely still drink. They are quite refreshing, and they’re a really interesting addition to any drinks cupboard. Not sure if I’d repurchase, but I did enjoy trying them out! These are all the products I’ve tried out so far, and it’s been a really interesting experience! 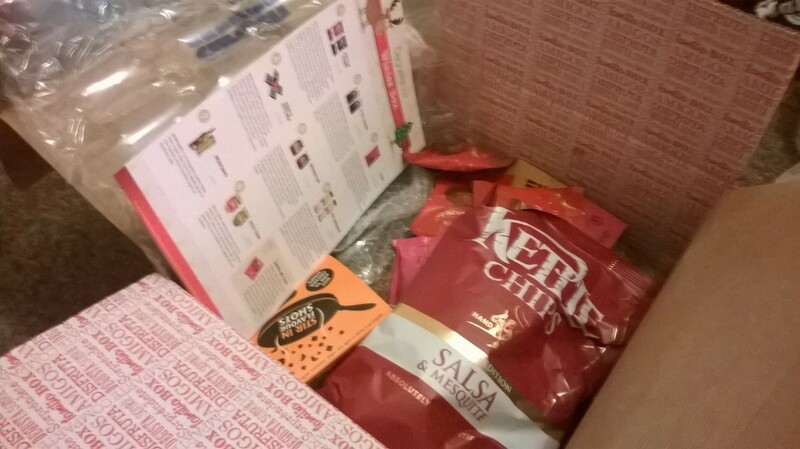 I LOVE the idea of Degusta boxes; you get so much in one box and it’s great to try out new things from brands you love and brands you’ve perhaps never heard of before. I’d definitely think about subscribing to the box. It’s a great way to try things you perhaps might not do usually, and I can imagine it being a really exciting day when your big box arrives! Many thanks for reading and I hope Monday has treated you well.